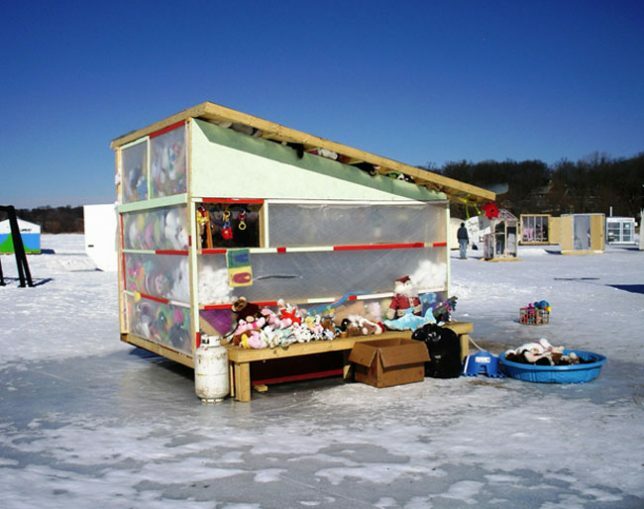 Not just cold comfort, these portable shacks designed to be towed out onto frozen lakes come in a variety of forms, from the practical and resourceful to the funny and artistic. 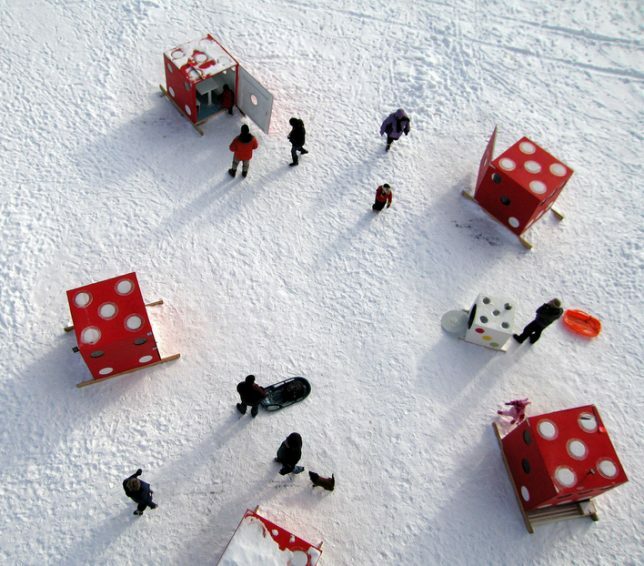 These ice fishing hut designs demonstrate how surprisingly warm and cozy the simplest of shelters can be – and prove that people who live in the world’s coldest climates (happily spending their spare time engaging in recreational outdoor activities in subzero temps) are way hardier than the rest of us. 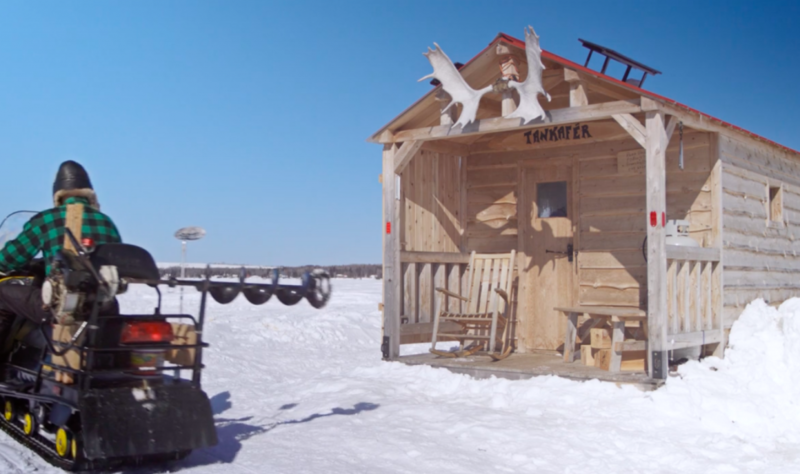 A group of local anglers in Calgary came up with a pretty brilliant way to stay warm while out on the ice: a towable hot tub, which they pull out onto frozen lakes alongside their fishing hut. 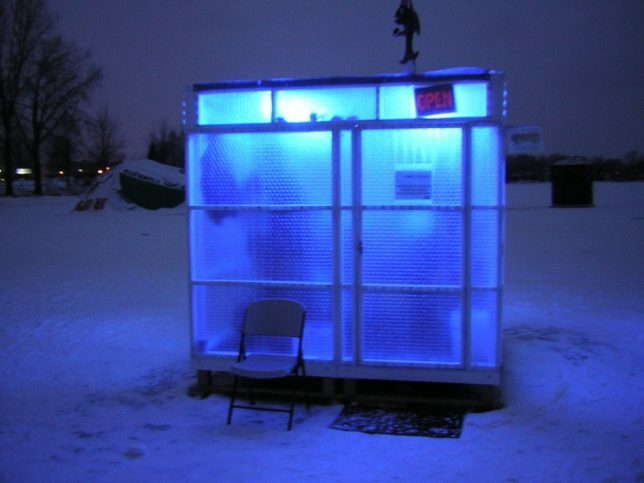 It takes a couple hours to heat up, but the waiting time has got to be worthwhile once you get in. 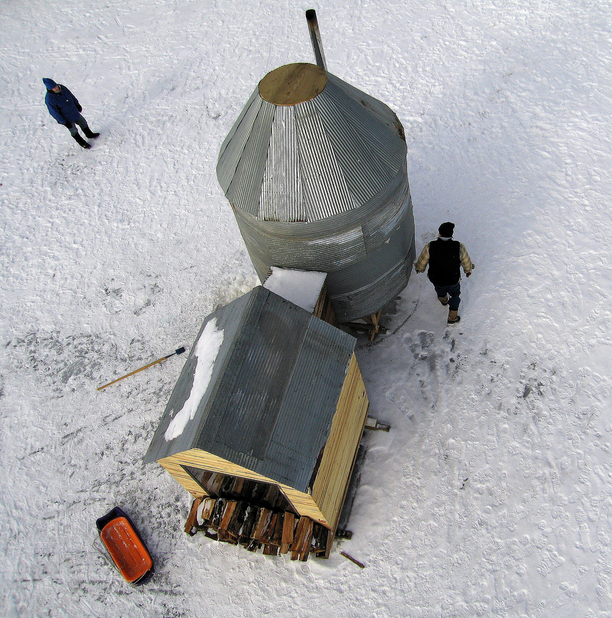 “We weren’t catching any fish, so we thought we’d do something else,” says the tub’s creator, Scott Chesterman. 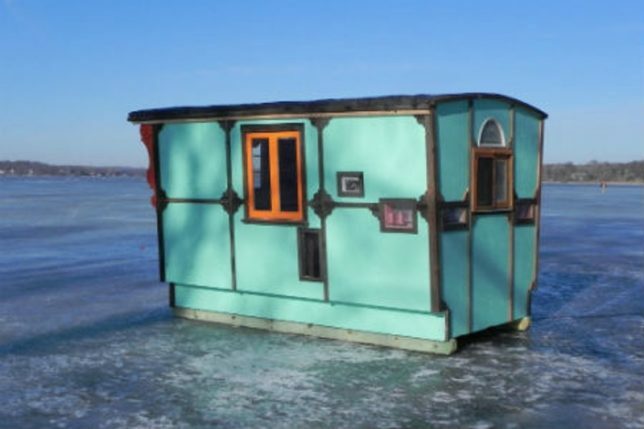 Rather than hauling a pre-made hut out onto the water, you could work with what’s already there. 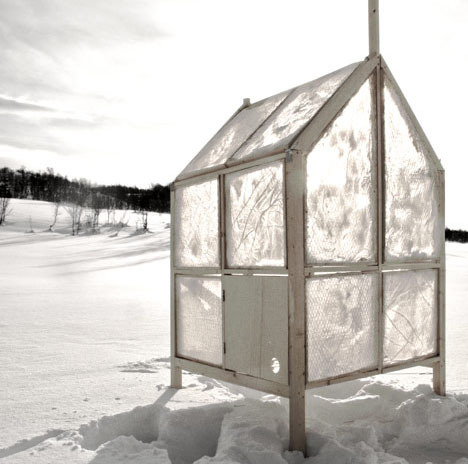 This mobile fisherman’s hut design by Norwegian architecture studio Gartnerfuglen is made of a wooden frame and wire mesh, used as a form for ice. 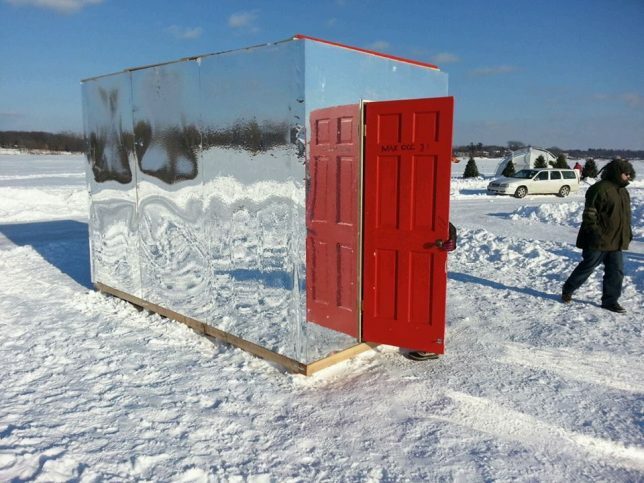 Once the walls freeze into place, the inside is insulated. 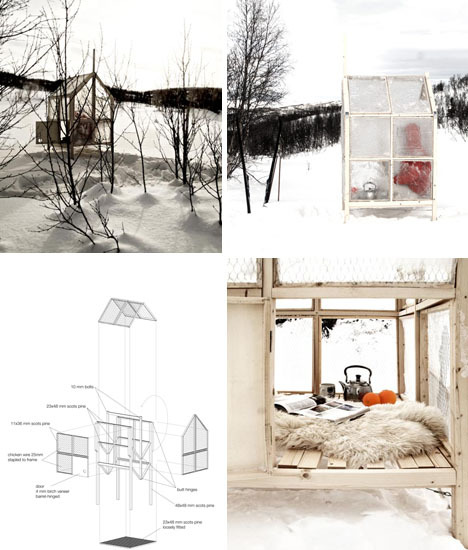 In the summertime, it can be used as a garden shed, with the wire supporting climbing plants. 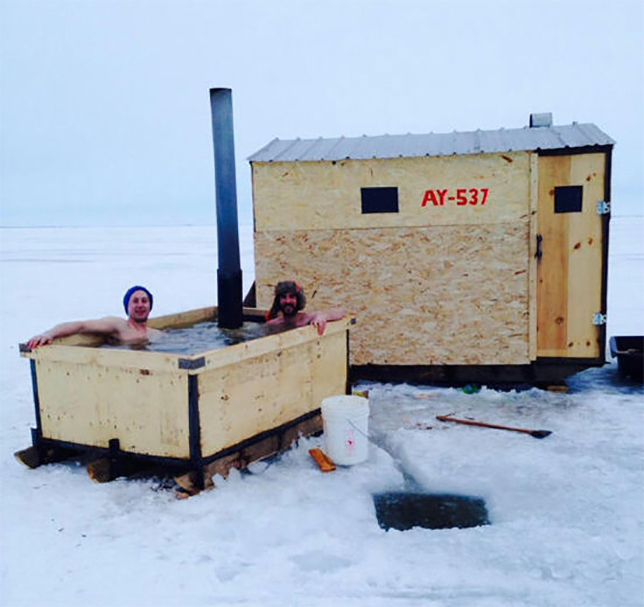 Is this the polar opposite of Burning Man? 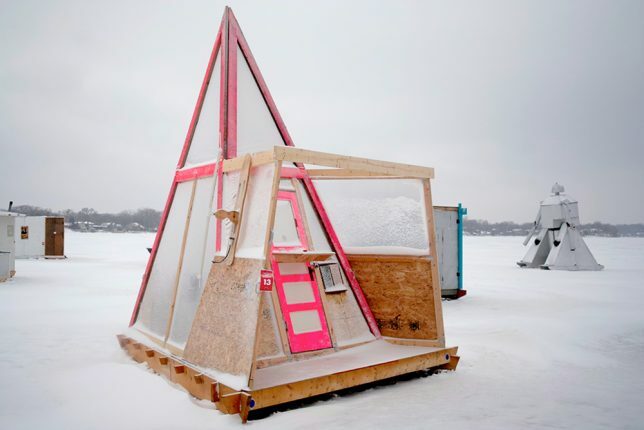 Over 1,000 artists have designed and built creative ice shanties for the annual ‘Art Shanty Project’ over the last decade, covering the frozen surface of a Minnesota lake like an iced-over version of the popular desert festival. 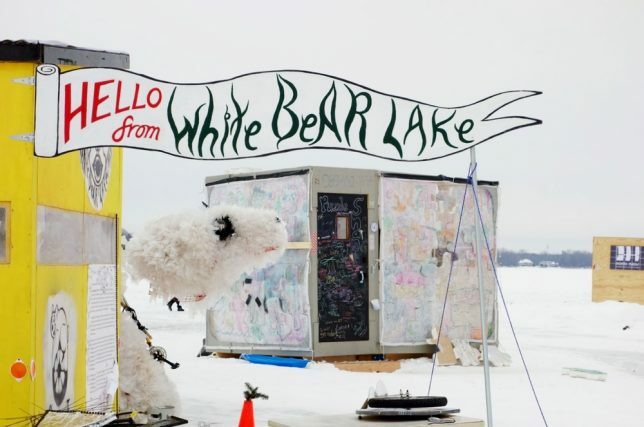 The creations include wooden stick-framed shacks, geodesic domes, tipis, sculptural structures and mobile shanties of all kinds, put on display for thousands of tourists to see for an event that’s uniquely Minnesotan.